Neither one of us had ever saved seed from any of our plants, so we thought why not? The process sounded simple. All fruits and vegetables are angiosperms, flowering plants. 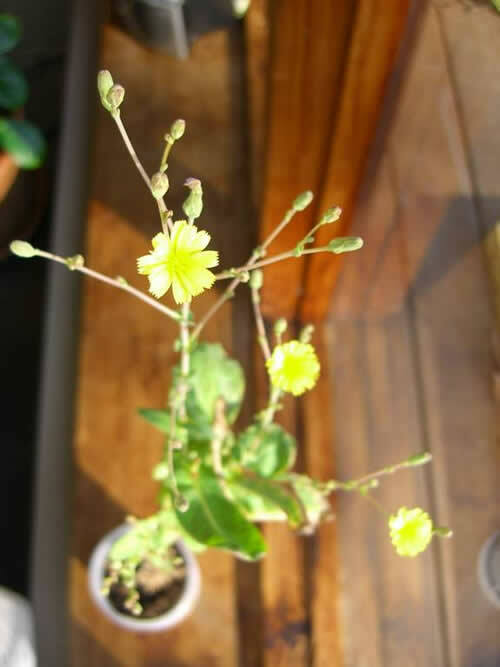 People are used to seeing tomato or squash flowers which then turn into the fruit, but many people do not realize that all of the greens also have flowers. In the case of the greens, the flowers turn into seeds. We let a number of the vegetable plants we had growing in yoghurt containers “go to seed”. The plants first put up a central stalk, and then put flowers out from the stalk. 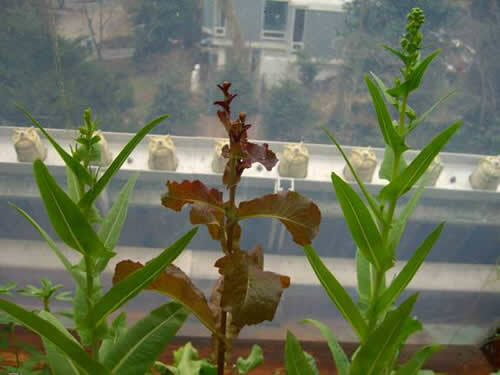 In the above picture, two deer tongue lettuce plants flanking an oak leaf lettuce plant are starting to put up central stalks. 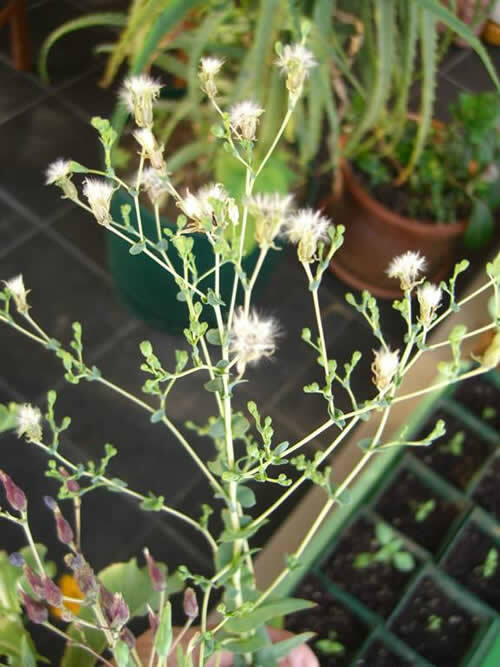 Note also that the leaves are getting smaller and more plentiful as the plant matures and starts into its seed production cycle. 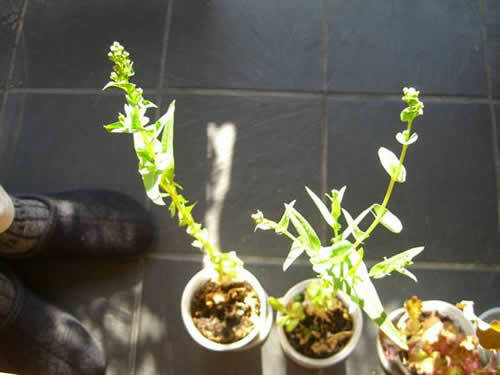 This picture show two deer tongue plants whose central stalk has gotten very tall. This is about two weeks later than the earlier picture. Now, another week later, some flowers are opening up. 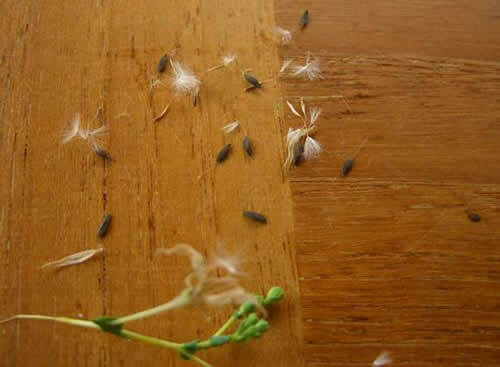 If you pull the puffy mass apart, you get the individual seeds.